Altec Lansing Backbeat 903 review | What Hi-Fi? If the Altec Lansing headphones here look familiar, it's because we reviewed them back in October 2009. 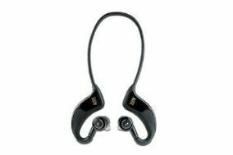 Thing is, when they appeared in the magazine's Round-Up of wireless headphones, they did so as the Backbeat 906, which includes a Bluetooth sender. As there's a vast quantity of devices out there that already have stereo Bluetooth built-in (including the iPhone), and knowing how such things can affect sound quality, we felt it necessary to test the sender-less version. Thankfully it sounds just as good, with a detailed, open and dynamic delivery defying what many will expect from Bluetooth headphones. Add a comfortable design, easy pairing, on-ear controls (although skip forward and back doesn't work on the iPhone), and a built-in mic for taking calls, and you've got a real wireless winner.